Jim Parsons net worth and salary: Jim Parsons is an American television and film actor who has a net worth of $100 million. Jim Parsons has earned his net worth primarily from his role on the CBS Sitcom, The Big Bang Theory. 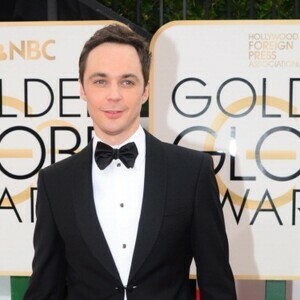 Jim's portrayal of the geek Sheldon Cooper has received much recognition and many awards. 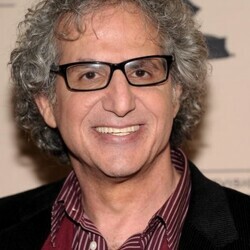 He has won the Television Critics Association award for the highest individual achievements in comedy, the Television Chairman's Award for a significant breakthrough in a specific art discipline, from the National Association of Broadcasters, several Emmy Awards for Outstanding Lead Actor in a Comedy Series and a Golden Globe Award for Best Actor in a Television Series Musical or Comedy. 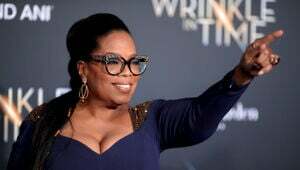 It also made him the highest paid actor on television for many years, with annual income that tops $25.5 million from the show alone. He also earns additional millions to do TV commercials for Intel. Since 2016, Jim has narrated and executive produced the spinoff series Young Sheldon. Jim Parsons was born on March 24, 1973 in Houston, Texas, the older of two children. When he was only six he played the role of the Kola-Kola bird in a school production of The Elephant Child, after that he was hooked and determined to become an actor. 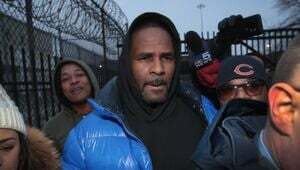 While he was growing up he was heavily influenced by TV sitcoms, such as Three's Company, Family Ties, and The Cosby Show. In his junior year at Klein Oak High School in Spring, Texas he played a role in the school play called Noises Off. Parson referred to the play as the first time "I fully connected with the role I was playing and started to truly understand what it meant to be honest on stage". Parsons went on to graduate from high school and receive an undergraduate degree from the University of Houston. He was very active pursuing his career during this time by appearing in 17 plays in 3 years. He was also a founding member of Infernal Bridegroom Productions and regularly appeared at the Stages Repertory Theater. In 1999 he enrolled in graduate school at the University of San Diego. He attended a special two-year course in classical theater, taught in partnership with the Old Globe Theatre, he was one of only seven students that were accepted. According to Parsons he has estimates that he auditioned for between 15 and 30 television pilots, and when he was cast in the role, the show failed to get picked up by a television network. Until The Big Bang Theory after he auditioned for the role of Sheldon Cooper he was confident it would be a very good fit for him however, he did not feel any connection to the character. It was the brilliant dialog of the show that got to him the most, and the writer's use of words most people don't recognize or use every day. Series creator Chuck Lorre was so impressed with Parsons' audition that he insisted on a second reading to see if Parsons could replicate the performance. He was cast in the role, of a genius physicist with nonexistent social skills who interacts with his other nerdy friends and the attractive waitress who lives across the hall. Parsons believes the time he spent at the University of San Diego gave him the tools to break down Sheldon's lines. How much does Jim Parsons make per episode of The Big Bang Theory? $1 million which translates to around $25.5 million per year. He earns an additional $5 million per year doing commercial work and through his narration/producer work on Young Sheldon. Jim Parsons Net Worth from Real Estate: In April 2019 Jim sold his longtime home in the Los Feliz neighborhood of Los Angeles for $6.95 million. He bought the house from Twilight actor Robert Pattinson for $6.325 million in 2014. The house was also previously own by Laker Kareem Abdul-Jabbar.